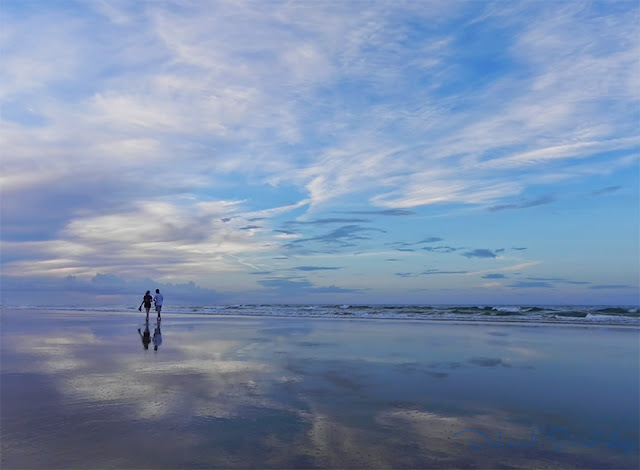 This couple looks as if they are walking on clouds. The sky and and its reflection surrounds them, creating a picturesque scene. There's nothing quite as romantic as walking along the beach, listening to the sounds, and seeing the beauty of the ocean.